Setcreasea is a beautiful colour and texture plant. The leaves are oval and pointed and will reach 7 inches (17.5cm) long by 1 inch (2.5cm) wide. The succulent stems are first erect later lying on the ground as a creeper. The blooms range from pink to pale purple and appear from mid summer until early fall. Setcreasea are low maintenance and weather tolerant. For the best colour, grow in bright sunlight and a dry, cramped root zone. This tender perennial is great for containers, baskets and can be used as an annual ground cover (Zone 7). Setcreasea Pink Stripes is a beautiful colour and texture plant. 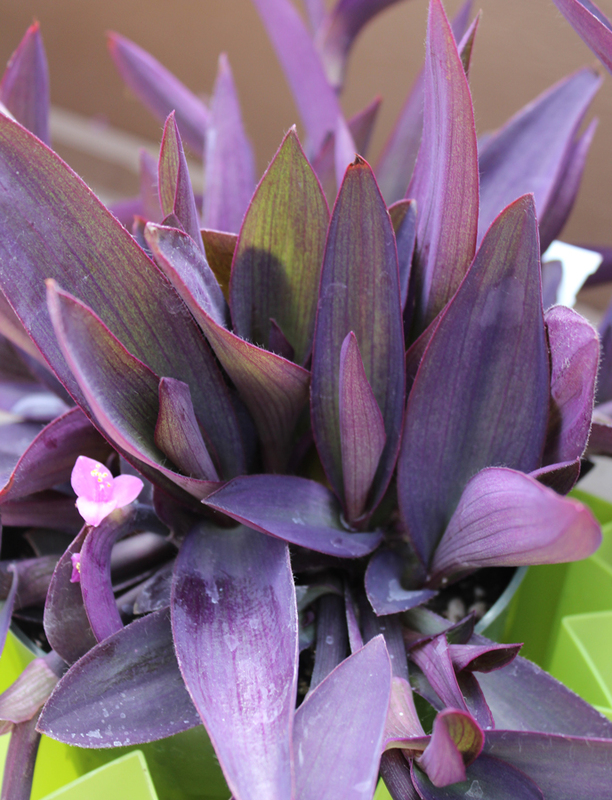 This outstanding variegated foliage plant has deep purple succulent leaves and pink stripes. It is easy to grow, easy to maintain and drought tolerant. Ideal in mass plantings, rock gardens, window boxes, hanging baskets and combination planters. 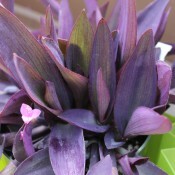 Setcreasea Purple Heart is an outstanding colour and texture plant. 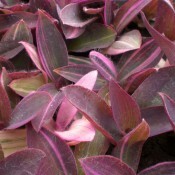 This exceptional foliage plant has rich purple leaves and soft pink flowers. Setcreasea has excellent weather tolerance and thrives in heat and humidity. It is easy to grow and maintain so it is ideal in mass plantings, window boxes, hanging baskets and combination planters.